It’s that time of year again when the ghosts and goblins come out to play, children dress up as witches, princesses and their favorite superheroes and jack-o-lanterns glow on porches across the country. If your kids love Halloween- or you are still a kid at heart and enjoy this holiday- Loudoun is the place to find family-friendly events that celebrate this spooky month! 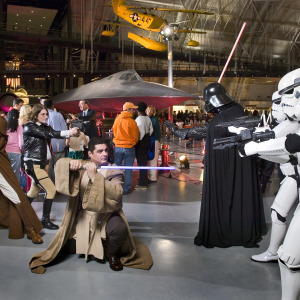 One of my favorite annual Halloween events is Air & Scare at the Steven F . Udvar-Hazy Center Air & Space Museum on Oct. 25. 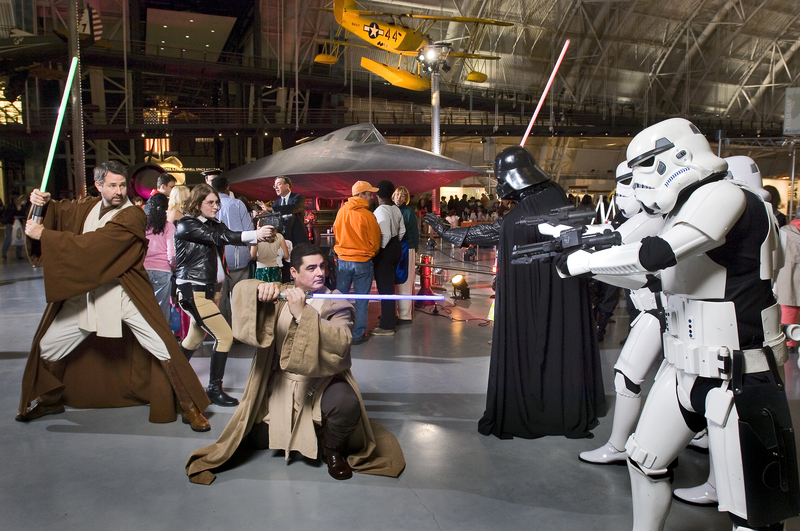 Come dressed in your favorite Halloween costume to see spooky science experiments, make creepy crafts and trick-or-treat among the airplanes, helicopters and other aircraft in the museum. 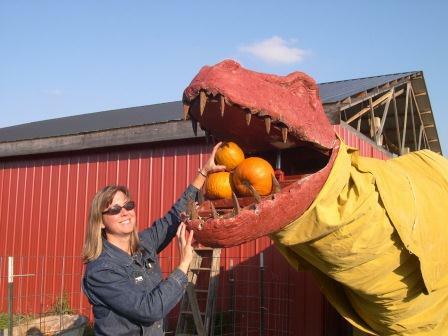 As an outdoor enthusiast, another great Halloween adventure is at Harpers Ferry Adventure Center. The outdoor park hosts a haunted gallows zip line, backwoods hike of terror and hayride. Activities take place Fridays and Saturdays through Nov. 1 and are by reservations only. Want to get lost in a giant corn maize? Check out Temple Hall Farm on the weekends through Nov. 4 to explore the East Coast’s only 20-acre corn maize. While there, test your shooting skills with the pumpkin blaster, take in a pig race or pick a pumpkin to carve. Another great farm offering a pick-your-own pumpkin patch is Great Country Farms. Enjoy a fresh apple cider donut before taking a hayride to the pumpkin patch. After, visit the farm animals, catch a pig race or shoot down a 60-foot slide. 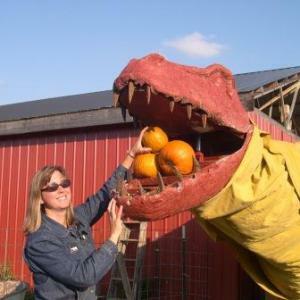 The farm’s fall festival runs through Oct. 31. If you are looking to meet even more animals, visit Pumpkin Village at Leesburg Animal Park. Not only can you find the perfect pumpkin and enjoy fun fall activities, but you can also see a variety of animals including a porcupine, African Serval Cats, goats and more! For all the adults that like Halloween treats, visit Fabbioli Cellars Oct 26. for a Halloween candy and wine pairing! Who doesn’t love sweet treats with fabulous Virginia wine? Or, visit Notaviva Vineyards to hear spooky ghost stories while taking a nighttime tour of the vineyard.